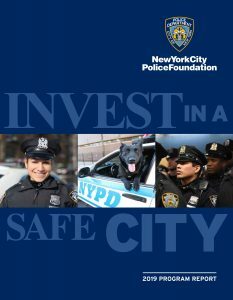 The New York City Police Foundation was established in 1971, as an independent, non-profit organization to promote excellence in the NYPD and improve public safety in New York City. The Police Foundation is the only organization authorized to raise funds on behalf of the NYPD. All donations support the NYPD’s effort to improve public safety, but more than that, the Foundation is a resource for the NYPD to help transform the way policing is done in New York. The programs the Foundation supports both help to fight crime and also support the brave men and women of the NYPD. The International Liaison Program: a counter-terrorism initiative that stations NYPD officers in 14 international cities who work with local law enforcement agencies to provide firsthand, in-depth analysis to New York City. Neighborhood Policing: The Foundation supports efforts to strengthen the partnership between the police and the public including the Build the Block campaign. Crime Stoppers: The Foundation pays the rewards for Crime Stoppers which offers up to $2,500 for anonymous information that leads to the arrest and indictment of a violent felon. To date, calls to Crime Stoppers have helped solve more than 5,600 violent crimes including over 1,400 murders and attempted murders. Scholarships and Professional Development: The Foundation provides scholarships and awards for NYPD personnel and their dependent children. We also sponsor training to prepare officers for the complexities of policing and to be effective in working with the public to keep neighborhoods safe. Improved Technology: The Foundation has provided seed money for a number of efforts aimed to improve the technological capabilities of the NYPD. Public safety is a shared responsibility. We at the Police Foundation work to help those who give so much to our city and our safety. 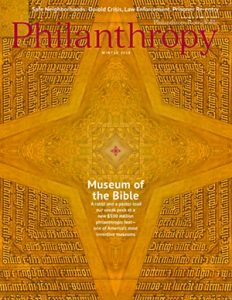 Please join us in our important work by contributing as generously as you can. Contributions to the Police Foundation are tax-deductible under Section 501(c)(3) of the Internal Revenue Code.